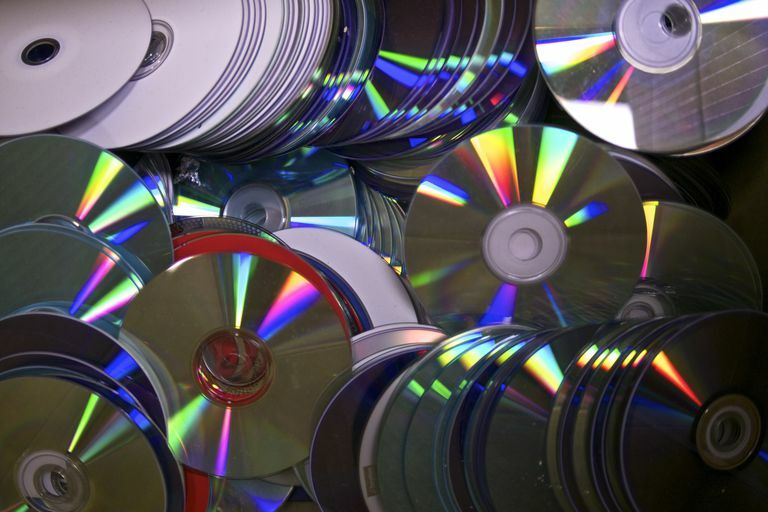 You need a DVD recording software program (also known as a DVD burning program) to copy video files and image slideshows to a DVD or Blu-ray Disc. You might burn DVDs to make your own home movies, to watch videos on your TV, or even just to back up your favorite videos to a disc. Once a video or TV show has been captured to your computer or after you've downloaded a video from online, DVD recording software applications work with your DVD writer/burner to record the data to DVD. However, before burning the DVD, you can normally make some edits, rearrange the video clips, add a DVD menu, adjust the color, and more. Below are our top picks for these software applications. While many are free only during the trial period, we encourage you to download and try the products before deciding on a purchase. Hundreds of transitions and enhancements. Burns 4K, HD, and SD. No 3D or 360 support. Advertised as being used for the "best resolution and highest video quality," this relatively inexpensive DVD burner from Nero is a great choice for anyone interested in creating simple yet professional videos and slideshows. It lets you burn 4K, full HD, and SD videos. There's even a disc menu creator to help you design the cover of your disc. You get access to advanced video editing like an old movie effect, slow motion, transitions, and keyframe animation, plus the ability to to remove black bars on the sides of the video in just one click. Nero Video also supports editing vertical videos taken by smartphones, will create movie titles and posters for your videos, and includes dozens of built-in movie templates to make video creation much easier than with some other DVD burning software. Nero has several other products, some combined into bigger suites while others are individual products. For example, Nero Platinum includes not only this program but also Nero Burning ROM, Nero MediaHome, Nero Recode, and other tools. Motion tracking and 360 video conversion. Difficult to install in Windows 10. Roxio's produces easy-to-use, powerful, and popular CD and DVD burning software, and Roxio Creator NXT showcases that. This is an all-inclusive suite, which offers CD and DVD burning, video capture, video editing with motion tracking, photo editing, sound manipulation, and DVD authoring. In fact, this Roxio product includes over 15 other tools from the same company, in an integrated and affordable package. Supports HEVC and HEIF file formats. No 360-degree VR or 3D editing. No support for multi-cam editing. Adobe has made a name for itself as a high-end video editing software application. Now, Adobe goes after the everyday user with Premiere Elements. Adobe Premiere Elements offers video editing and DVD burning in one affordable package. For anyone interested in editing their TV shows or videos and then burning them to DVD, Adobe is a nice product. You get step-by-step help along the way, so you can use it even if you're new to video editing. There are also transitions, themes, effects, video collage tools, and a GIF maker. Some of the more advanced tools include a shake reducer for unstable videos, motion titles, face detection with pan and zoom, and photo blending. Because Adobe has so many other products along the same lines as Premiere Elements, you can expect tight integration with their other tools. If you already use other Adobe programs for media creation, we highly recommend getting Adobe Premiere Elements for video editing and burning. Copies to DVD in three steps. Menu themes for DVD compilations. Burns data discs and disc images. Doesn't offer as many output file formats as its competitors. Another DVD burner from Roxio, Easy Video Copy & Convert, is more of a video converter tool, so it's a bit easier to use than some of the other programs in this list—it's also one of your least expensive options. This DVD burner can convert to and from many different video formats to make a video run on your phone, computer, or tablet if it doesn't work in the format it's currently in. One of the "conversions" is to copy the video to a DVD. You can add multiple video files or video sources (like YouTube) to the queue, adjust the video compression to work with your DVD size, alter any audio settings you want, and optionally create a DVD menu. If you're using Roxio Easy Video Copy & Convert to burn a DVD movie, you can schedule it to run later — like at night — so that it doesn't use up all of your computer's system resources. This program is also capable of ripping discs, like copying Blu-rays, audio CDs, data discs, S-VCDs, and DVDs to your computer. Another option is to share your video creations on Facebook and YouTube from inside the software. Program confusingly contains two apps. Burner tools are in the Launcher app. Editing tool are difficult to understand. Corel's DVD MovieFactory Pro (previously owned by Ulead) lets you burn photos and videos to DVDs to make your own movies at home. It's priced a little higher than some of these other DVD burners. This DVD burner works with Blu-rays, DVDs, and other types of discs. Not only can you burn videos to discs but also rip (copy) them back to your computer. If you're looking for a really quick way to burn videos to a disc, you can use the included Quick-Drop desktop gadget. Just drag and drop the videos, music, and other data you want to burn and DVD MovieFactory Pro will do all of it for you. You can import HD video from HDV, AVCHD, and Blu-ray discs. The program is advertised as being able to edit and preview HD video smoothly even if you don't have a high-end computer. You're given large previews of your video clips for easier manipulation, and the included Launcher tool gives you step-by-step instructions for simple DVD creation. Some of the DVD menu options you have with DVD MovieFactory Pro include adding reflections, object rotation, animated objects, and masked text. The auto-align feature of the DVD authoring process makes it easy to structure your menu to look professional. Professional presets for DVD and Blu-ray projects. Doesn't support some popular formats. Vegas DVD Architect is definitely a professional video editing tool with a steep learning curve. However, if you have the patience and don't mind using a trial and error method, you can make some exceptional videos with this software. Like with most DVD burners, DVD Architect tries to make the whole process easy — import videos to the timeline and edit them as needed, drag menus and buttons to the preview area, and burn the DVD or Blu-ray when you're ready. You can make this DVD burning program as advanced or simple as you need to. Use one video and a simple menu and you can get a DVD burned in no time, or edit sections of the video into clips, crop the video, edit the background media, change colors, etc.